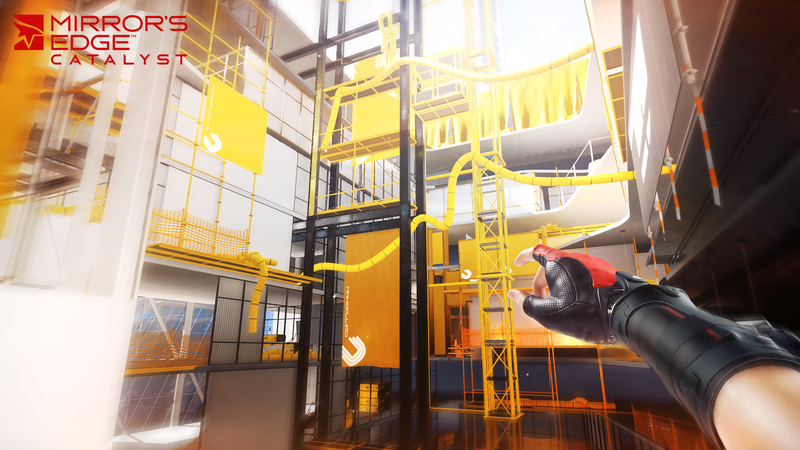 After years of pleading, fans including myself finally got their wish…a new Mirror’s Edge. The original was a great game, even if it didn’t quite live up to the hype. Catalyst is more of a prequel as it serves up Faith’s origin story, explaining how she became a runner, what happened to her family as they stood against the corrupt government of the city and begins as she is released from juvie. The story behind her going to juvie is available in a comic called “Mirror’s Edge: Exordium” by Dark Horse Comics. The game starts teaching you the basics of your standard parkour moves, as well as combat and you will get upgrades for all during the course of the game. Faith also gets the equivalent of a grappling hook to hoist herself over large gaps, among other gadgets. Catalyst is different as it’s based in an open world among the rooftops of the city known as Glass, getting from A to B isn’t so simple and there’s always more than one path to your objective. There are hundreds of collectibles and plenty of side quests to get your teeth stuck into, as well as the chance to make your own user-generated speed run challenges for anyone to attempt. The city itself is massive and getting around will take some time until you unlock the safe houses scattered across it. Combat seemed more of an afterthought in the original game, while this time it’s definitely more refined. You’ll learn combo moves to tackle a whole range of different enemies, all of which pose a serious challenge…especially in large numbers, I felt overwhelmed at certain points…not thinking I would be able to beat all these in one go, but I eventually prevailed. Having said that, it took me a lot of attempts. The story itself is intriguing, showing a city under direct control from an oppressive government that will do anything to silence those who oppose it, while showing the resistance and extremes they are willing to go to in the name of freedom. Faith is an interesting character too, much more so than in the original…she has sass and isn’t afraid to speak her mind, a rare trait in Glass. The game is stunning to watch. The open world element of Catalyst works really well, even if you are just exploring the rooftops and interiors of buildings or construction sites, they are incredibly detailed and working out how to reach your objective is challenging, but always rewarding. Catalyst takes the best parts of the original and weaves it into this open world without breaking a sweat, DICE have done themselves proud. Mirror’s Edge Catalyst had so much to overcome to beat it’s predecessor and defy critics alike, even I didn’t think they would be able to pull it off…but I was wrong. 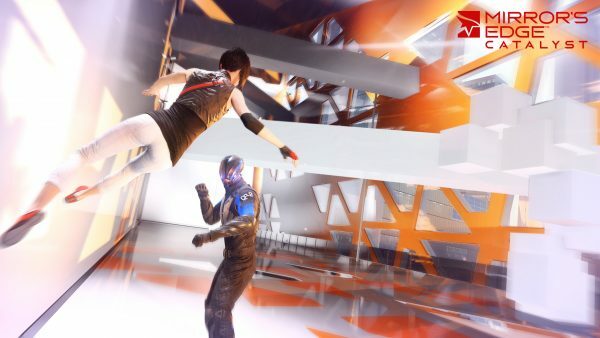 Catalyst is the game fans have been waiting for, it rights the wrongs of the original while making itself unique at the same time. Simply put, Faith is back and better than ever.